Can you keep great tenants from leaving in the first place? So can you keep great tenants from leaving in the first place? Moudoux has had a relatively low turnover in properties himself, and has forged good relationships with most of them, although he’s quick to point out that business is business when it comes down to things like missed or late payments. He recommends having a preventive system in place that will make payment a straightforward process for tenants and yourself, such as collecting post-dated cheques ahead of time and accepting rent via direct debit or e-transfer. So what are some other tips? Be present. 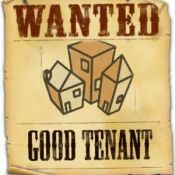 Tenants are unlikely to renew a lease for an absentee landlord, and they’re unlikely to be very quick to report breakages and structural issues as well. If you neglect your tenants, chances are your property will pay the price. Go above and beyond. Making your property stand out, particularly in markets with lots of competition, will help your tenants choose to stay rather than explore their options. Providing services like parking lot lighting, commercial garbage bins in larger multiplexes and shovels to clean walkways are things that will contribute to safety and enjoyment of your tenant’s time in your property.“These small gestures go a long way!” says Mondoux.